Our Mother toddler Program uniquely addresses the needs of recently become mothers. From vaccination advice to making them feel comfortable in their roles as new mothers, a number of meetings are held. A group of young mothers in similar situations interact while playing with their young ones, feeding them and making them sleep or just playing with them under the care of nannies and maids with a varied number of toys and play equipments, music albums and books. Prekindergarten 1 is where the journey of a thousand miles would begin with a single step. The first planned step a child takes towards the educational process that lies ahead and is perhaps the most important process of development and personality in an individual’s life. Important theoretical developmental milestones are matched with the children’s abilities. During this stage, it’s very important for a child to feel connected with an external place other than home to have a lifelong love for external environment. Initial hiccups and fears need to be removed at this stage, otherwise the fear becomes an obstruction in years to come. 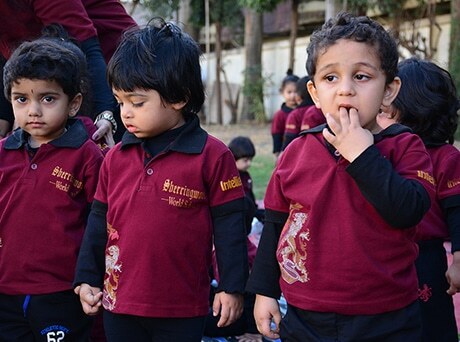 Our Prekindergarten programs aim to make the child feel comfortable in his very first surroundings other than home. 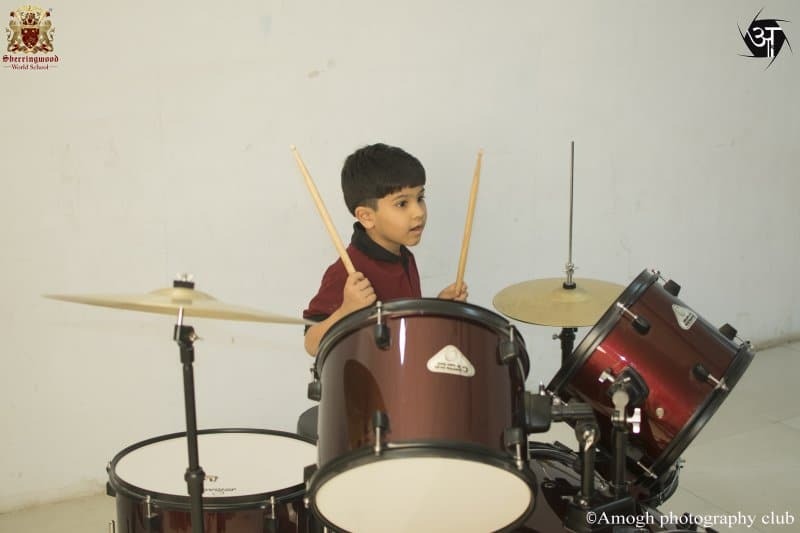 Our program then enhances a child’s natural exploration abilities; makes him feel the first gush of independence, learns to cope with other students of his age. If a child has succeeded in just being away from his parents for even 2-3 hours a day, a big first milestone has been achieved. A child feeling engaged at this stage is a great achievement indeed. 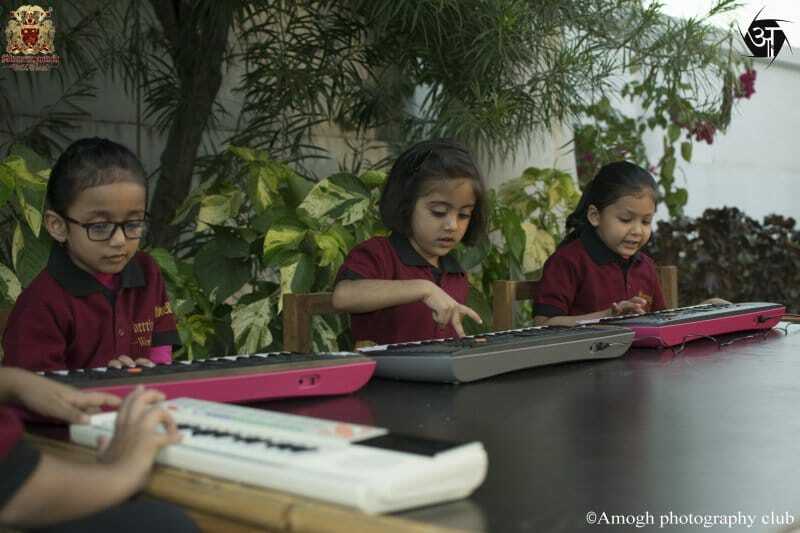 The children are introduced to and surrounded by music, songs, stories, art methods and objects, customs and toy foods from various parts of human experience and history. Relevant cultural holidays are joyfully celebrated, and every child and family can feel included and respected. Children get tired and sleep when they feel like and then get-up and start playing again. A lot of learning through sense continues to go on here. A number of developmentally-appropriate activities are scheduled. 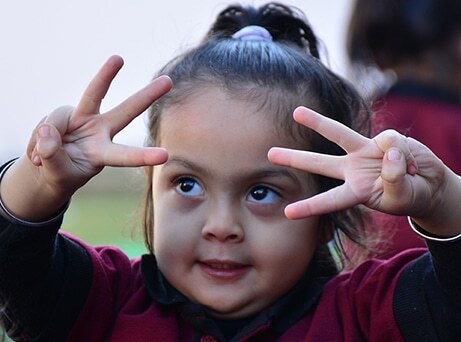 At this stage, the initial hiccups and settlement stage almost gets over, a child knows what is going on around him and consciously starts making efforts to learn things. 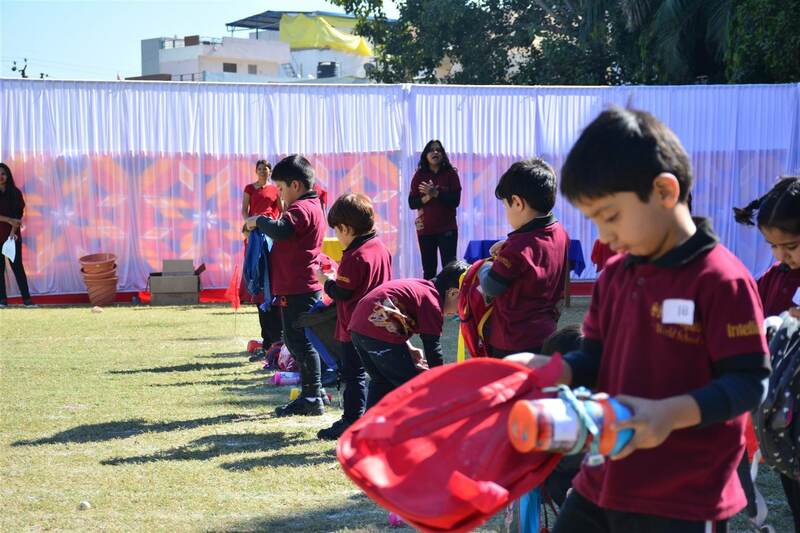 Formal plans and procedures are laid out in terms of curricula and a number of stimulating activities, meaningful group interaction and structured learning gradually unfolds. Theme based learning begins. Monthly themes, weekly topics and daily activities keep the kids excited, busy and wanting for more. Each daily schedule is developed pre-hand and integrated, so that each activity complements the others and builds layers of learning and discovery opportunities. Pre-reading, Pre-math, basics of logical thinking, and ability to reason things are worked out. Block play, Clay play, dough play, free play, and pretend play become handy here. The world of Art and Craft is introduced and greatly enjoyed by children. Exploration and understanding increases and curiosity, self-initiative and persistence are developed along. We utilize “same timing techniques”, for stimulating the child’s brain and balancing the two hemispheres for real time integration. This coupled with cognitive activities and easy-to-follow dietary guidelines help to establish proper connections and improve rhythm and timing. Our unique integrated approach helps your child achieve optimum body and brain function, which supports improved learning-academically, socially and emotionally. You’ll be amazed at the physical and academic advances your child will make during our program. Our Kindergarten program is the extension of the pre-kindergarten series. From here work has to go on to bridge the transition between pre-kindergarten to nursery school kids would soon move into. By now rational thinking develops and instructions can be taken by children. Hands on activities and direct experiences are encouraged. Expressions happen through drama, art and craft. 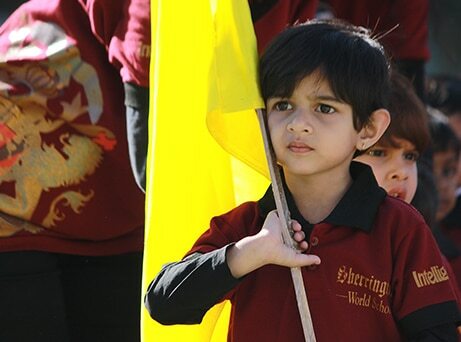 Different themes are being appreciated by kids and they start being an active part of it. Language and math concepts begin to set in. Each day here presents things scheduled activities like Community Learning Circle, Creative Art, Music and Movement, Child-Centered Discovery, Games, and a Story. The Creative Art projects are all imagined and completed by the child, perhaps with inspiration from a song, or a story, or the art materials themselves. The Community Learning Circle presents ideas for conversation, language development and learning games. The daily calendar is not emphasized, since it is not yet relevant to the young child’s experience of the world. 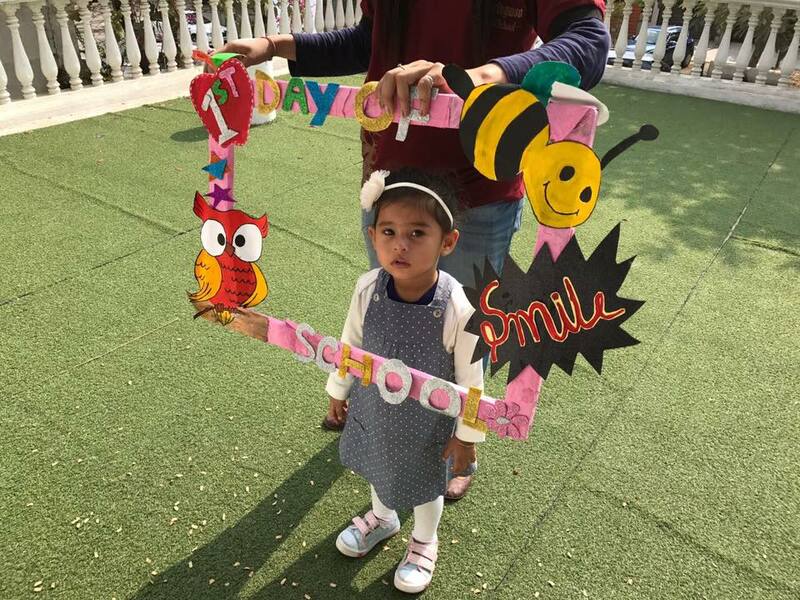 Letters and numbers appear throughout the Curriculum in games, art projects and stories, always with a relationship to the current activity so that the child can link the letter or number to a concrete concept. There are many activities that extend the concepts of literacy and numeracy, such as sequencing, classifying, and developing memory. Stories are chosen for their beautiful illustrations, excellent writing, and their relevance to the children’s experience. Moreover favorites can be read over and over again, stimulating conversations about the characters, the pictures, and what might happen next. Our grand finale of kinder-school is the KG2 Program. Here the child gets ready to face the higher level of education with charm, poise and confidence. Structured learning objectives are fulfilled through a number of core and allied activities. Children delve deeper into the creative world art and craft. Dramatics and role play sessions engage children beyond measure. Language learning, Math and Science classes take place on a regular basis. Books of all kinds are made available, writing and drawing materials, blocks and construction equipment, dramatic play accessories, music of the world and our hearts, and all kinds of math and science discovery materials. The children ask and measure, and listen, and think, and consider, and conclude, and perform, and disagree, and create, and take part, and dance, and their imaginations fly. The spark is kindled, and the fires of learning are ignited. Any inefficiency found till now is worked upon. Classroom changes, length of syllabus increases, points to ponder ascend and perception based Kindergarten paves way to a more analytic primary level of education. To make this transition as smooth as possible, Sherringwood works intricately and gives ample reasons to its students to come to school every morning. Playing a sport denotes not just physical fitness, but mental balance too. Understanding the necessity of sports in the co-curriculum, Our Sports Academy is named after the legend, Sir Raj Singh ji Dungarpur Academy. Under this, we provide training for sports like soccer, taekwondo, swimming, skating and chess. Here, we are preparing our students to compete for both national and international levels and they are already bringing laurels. Getting rigorous training from our trainer, Gaurang Vishwakarma and Kavya Jain were awarded with yellow belts in Taekwondo at the age of 6. For us, there is no picture so beautiful as smiling, bright-eyed, happy children; no music so sweet as their clear and ringing laughter. Music is a moral law. It gives soul to the universe, wings to the mind, flight to the imagination, and charm and gaiety to life and everything. In our rhythmic Sherringwood Music Academy, conversation goes beyond words. We do speak, feel and play music. It’s that time of the day when our students feel the happiest. By this age, the child develops interest in an individual sport. We have full time trainers for Taekwondo, Chess, Swimming and Skating at our Campus. 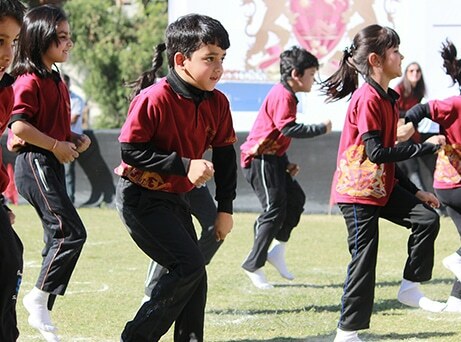 The students are given the choice to opt for their favorite sport. Rigorous training is then provided, so that they start to participate and bring laurels in district, state and national level competitions. 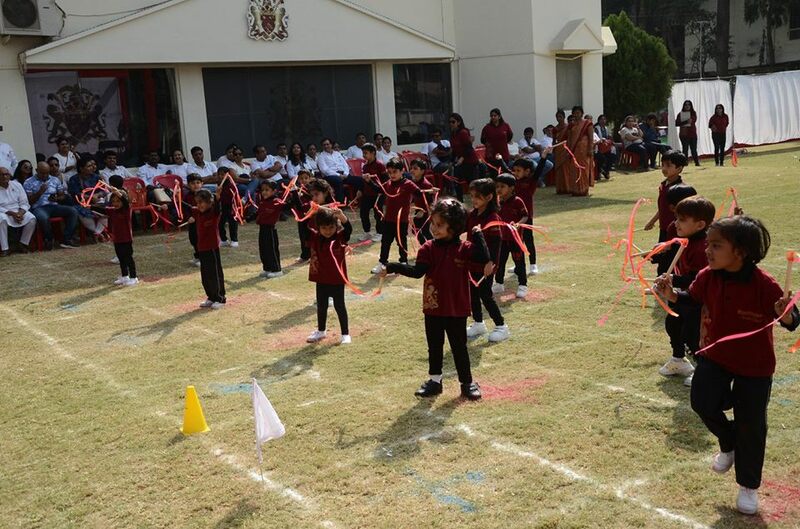 We host two major events during a session-Annual Sports Meet and Carpe Diem, our Annual Function. Stage performance helps the children remove stage fear and it brings confidence in them. Our students enthusiastically participate in these mega events. 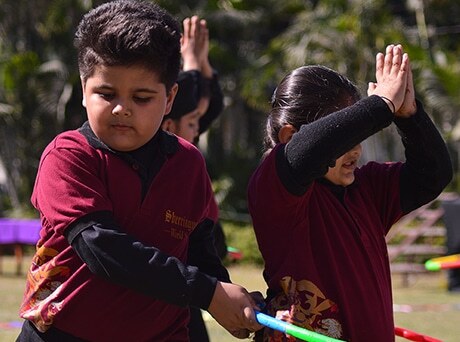 Activities like elocution, object talk, class–wise conducting of assemblies, quizzes, newspaper reading and project work are a part of the co-curricular calendar. In these grades, we motivate students to read books based on their syllabus as well as world in general. They discover the treasure of reading in our Library section which boasts of myriad collection. Educational trips and local sight-seeing are arranged every month to enhance students’ interest in history, natural sciences and many more.